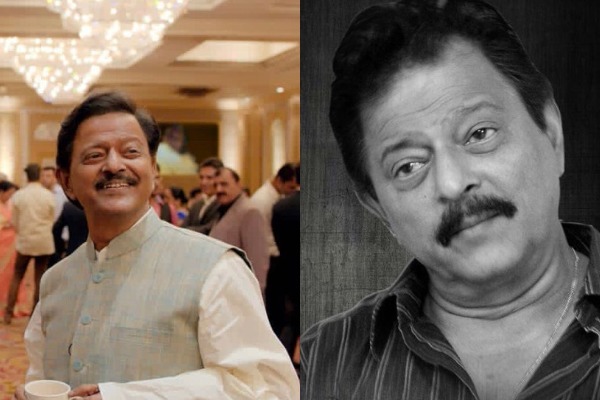 Prominent Marathi actor Ramesh Bhatkar loses battle to cancer. Celebrated Marathi film and TV actor Ramesh Bhatkar, who is best known for his roles in the TV series ‘Commander’ and ‘Hello Inspector’, passed away on Monday. The 70-year-old actor was diagnosed with lung cancer and was undergoing treatment at Pune and Mumbai. The actor lost his battle to cancer and breathed his last on World Cancer Day at a renowned hospital in Mumbai. Bhatkar’s last rites were held at Shivaji Park, Mumbai on Monday. Bhatkar is survived by his wife, Bombay High Court Justice Mridula Bhatkar and their son Harshvardhan. “He fought bravely, as much as he could. But, in the last one month, he was in tremendous pain and we were all worried. He was in the ICU for the last 15 days,” actor Jaywant Wadkar told PTI. Veteran actor Anupam Kher, who worked with Bhatkar in recently released film ‘The Accidental Prime Minister’, mourns the death of actor. Kher shared two photos from the sets of the film in which enjoying a conversation with Akshaye Khanna. Born in 1949, Bhatkar’s made his mainstream movie debut with movie Chandoba Chandoba Bhaglaas ka in 1977. He worked for more than 30 years as an actor in mainstream Hindi and Marathi films such as Aai Pahije, Kucch To Hai and Bhavesh Joshi Superhero. Of his nearly 90 films, most are in Marathi, with a few in the Hindi language. His career includes about 30 television series with more than 1,000 episodes aired. Next : Due To This Reason Sonu Nigam Was Rushed To The ICU Of Nanavati Hospital!